A National Women’s Health and Fitness Day special post! It’s 6:30 a.m., and my alarm is relentless. I moan and hit the snooze button, as if in 10 minutes I’ll magically become a morning person (the type that leaps out of bed in unwrinkled pajamas because they are elegant and efficient sleepers, and just happen to have birds helping them do morning chores). Ten minutes pass quicker than I’d like, but I get up to stretch. “Okay, B,” I say to myself, moving into downward facing dog position, “Let’s do this.” I get dressed, lace up and hit the pavement. Cinderella is a morning person…clearly. So, you may be thinking something along the lines of, HOLD UP GIRL,YOU WOKE UP AT 6:30 IN THE MORNING TO RUN?!?!?! Yes. Yes I did. Two-and-a-half years ago, I was going through some serious body image issues. I was looking for an exercise that wasn’t focused on calories, allowed me time to be in my own headspace and experience the world around me without my cell phone. Ta-da: RUNNING! I started training for a 5k. I began to work myself up to running 3.2 miles three days a week, and when I got back, sweaty and tired, I felt good. I felt strong. I realized those 45 minutes from warm-up to cool-down were vital to my mental health and essential to starting my day off right. I take those 45 minutes for me. No internet, no e-mail, no text messages – nothing but me, my thoughts and my killer running playlist. On days when I run, I come into work ready to focus and am more calm in stressful situations – all because I took the time to clear my headspace. I noticed running encouraged me to fuel my body the right way. I began to eat full meals, with protein, whole grains and veggies in reasonable portions (well, okay, sometimes a girl’s just gotta go for the extra guac) with healthy snacks. I eat a square or two of chocolate as an afternoon treat without guilt and stopped being so afraid of the dessert table at parties. Running got me back in touch with the most basic needs of my body. 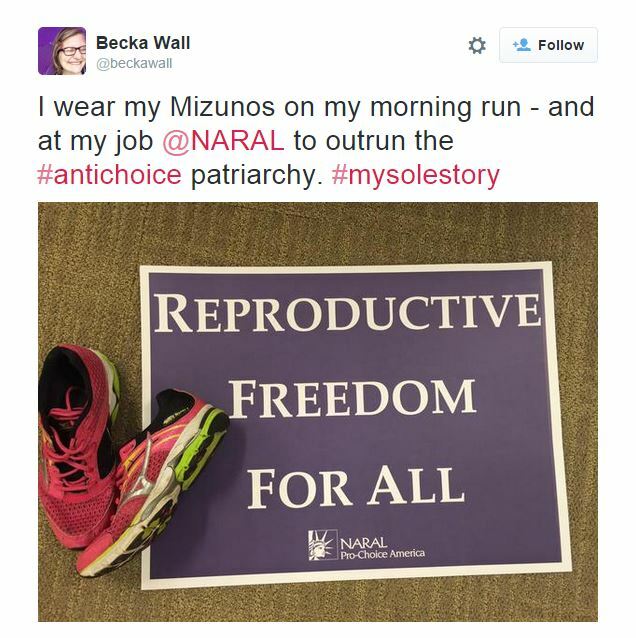 When I run a race, I feel invincible – like Super Woman, if she wore hot pink Mizunos (yes, a la Wendy Davis). I remember I can do anything I put my mind to; that I am a healthy and strong person whose body loves and works for her. I would imagine to non-runners right now, I sound like the leader of some running cult. I get that. All I am saying is find the workout that works for you and encourages you to take care of your physical and mental self. It’ll change everything. And if it’s running, let me know – we should hit the road together. 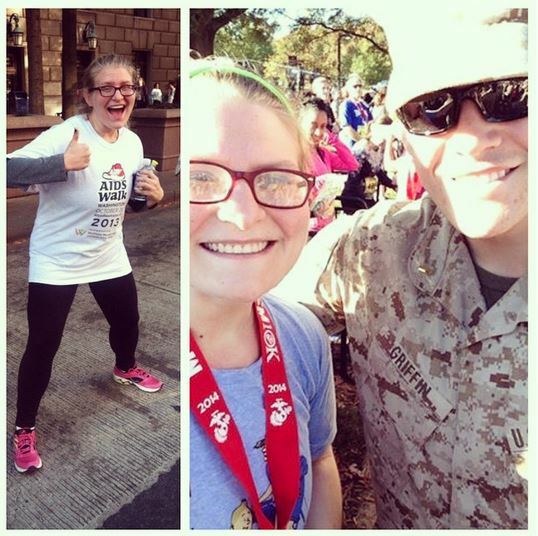 Finishing my first 5k and 10k! I LOVE this and commend you for getting up at the crack of dawn to run! And GIRL GET YOSELF EXTRA GUAC THAT’S HEALTHY FAT! I also admire your ability to only eat a square of chocolate at a time. I can do the same thing… it’s just that I eat one square after the other after the other until the entire bar is gone and then I’m upset that I ate the entire thing and then I go buy another chocolate bar, which I proceed to eat at super-speed. Le sigh.